Mr Adekunle is a Software Developer, Mr. Ciroma is a Security Guard and Madam Amarachi sells vegetables at Sabo Market. What single denominator unites a Software Developer, living in Yaba, the Security Guard at his Office Complex in Ikoyi, and the Market Vendor who sells tomatoes to his wife at Sabo Market? Disease surveillance is the ongoing systematic collection, analysis, and interpretation of health data for action. Countries without community-based surveillance systems are not able to respond in a timely fashion to public health events. We are EpidAlert (formerly EbolaAlert), and AlertClinic is our story. 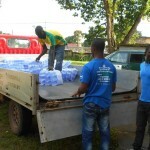 EpidAlert is a not–for–profit organization applying innovations and lessons from the Ebola response to key components of Global Health Security. EpidAlert was inspired to strengthen the quality of health information flow into and out of communities, using AlertClinic tools and methods. Mr. Ciroma’s illness should be of concern to Mr. Adekunle and to Madam Amarachi. Health is the common denominator to us all. Disease surveillance is the ongoing systematic collection, analysis, and interpretation of health data for action. 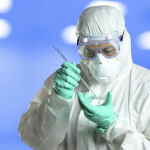 The traditional systems of surveillance and communication efforts during disease outbreaks are presently limited in their capacity to improve detection time and the transfer/flow of relevant information between entities within the disease control infrastructure. To illustrate, consider the hypothetical scenario of an Outbreak of Disease X. Disease X is characterized by nausea, vomiting, and passage of loose, bloody stools. It is commonly spread through contaminated water. The first case occurred within a community with low health facility utilization, and people resident in this community, Mr. Ciroma, inclusive, do not consider a visit to the health center the first line of action when they notice symptoms. He seeks care through other channels, before paying a visit to the Primary Healthcare Centre (PHC), a week after the onset of symptoms. Additionally, Disease X has spread to the 45 other residents of his crowded building, and only two of 10 cases visit the health facility. Now, when Mr. Ciroma visits the facility, the physician makes a diagnosis (this is the clinical response) and, as Disease X is a notifiable disease, the Disease Notification Form is filled. Based on the frequency of visits of the designated officer in charge of disease notifications, to the PHC, the forms filled would be transported to the State Epidemiology Office, and the data is then conveyed to the central disease control agency (this is the public health response). The time it takes information to flow to the decision makers can easily take weeks with this approach. Furthermore, response efforts, particularly those targeted at the community involved are also delayed by similar challenges. Beyond delays, there are also challenges with the quality and reach of information. For instance, the people in Mr. Ciroma’s community, who actually need this information, have house to house visits as the only open channel of communication. And challenges with the efficacy of disease preparedness efforts within these communities. 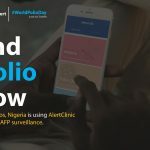 AlertClinic is a system designed to support infectious disease preparedness efforts by strengthening the flow of information in and out of communities. We are building a system that allows Health Authorities to rapidly communicate and deliver information to communities irrespective of their language, location or social dynamics while also guaranteeing the quality of the information and at the same time enabling the efficient gathering of health intelligence, by Health Authorities from these communities. This would serve as a form of event-based surveillance, which, when triangulated with other available public health data, will make available valuable information and new possibilities for making decisions in infectious disease preparedness. Nigeria needs a system that supports disease preparedness efforts by enabling the rapid flow of information into and out of communities. AlertClinic works by building relationships and communication points with people with the channels they find most convenient e.g. Web/Mobile, Telephony or Word of Mouth. We deliver location-specific information on disease activity, necessary preventive knowledge on specific diseases and Health Authority Announcements through these channels. Beyond information delivery, we also gather feedback and other specific data when necessary from the community through the channels of relationship building i.e. Web/Mobile, Telephony, Word of Mouth. The platform with its diverse reach serves as a unique opportunity for health authorities and health interventions to deliver information rapidly and at high quality to the very diverse audiences in different locations. They also can build intelligence for disease preparedness through information gathered from the platform. Nigeria needs a system that supports disease preparedness efforts by enabling the rapid and qualitative flow of information into and out of communities, regardless of the channel available to them-the World Wide Web, Telephony and Word of Mouth. We want Mr. Ciroma to readily recognize the symptoms of Disease X, and where to get help quickly. We need Mr. Adekunle to understand this quickly, and the preventive steps to take. Messrs Ciroma and Adekunle, as well as Madam Amarachi, need AlertClinic. 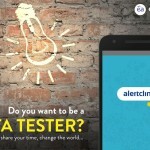 Nigeria needs AlertClinic. We are here. We are ready. Join the good people living safe. 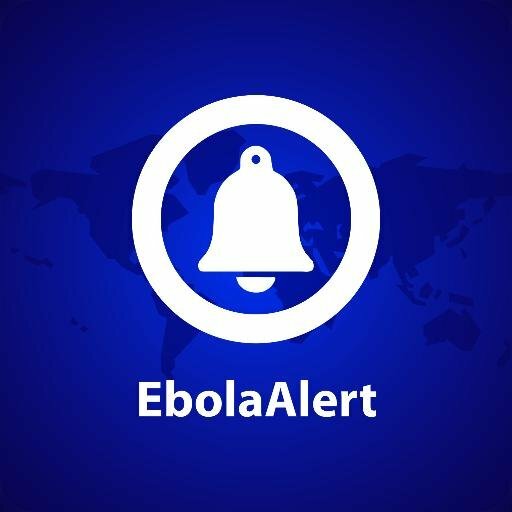 Join the conversation via @AlertClinic and @EbolalAert on Twitter and Facebook.